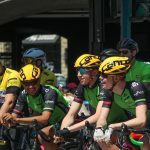 Kids ages 5 to 12 can see what it’s like to be a professional cyclist in downtown Port Coquitlam July 14 during the PoCo Grand Prix, presented by Dominion Lending Centres. Spots are available for the Kids’ Race, a free, fun and non-competitive event taking place on the same 1.3-kilometre loop track being used by dozens of professional riders that day. Last year the Kids’ Race attracted over 200 kids and was a highlight of the event. Fans lined the route to cheer on the young riders. Sponsored by Norco Bicycles, the Kids’ Race will take place from 5:15-5:45 p.m. and will be divided into two heats, with ages 5 to 8 racing one lap and ages 9 to 12 racing two laps. Register for free at www.experienceit.ca (5 to 8 yr. – use barcode 22554, 9 to 12 yr., use barcode 22555). Advance registration is recommended, although riders may register on race day if the event is not full. Participants must provide their own bikes and helmets. 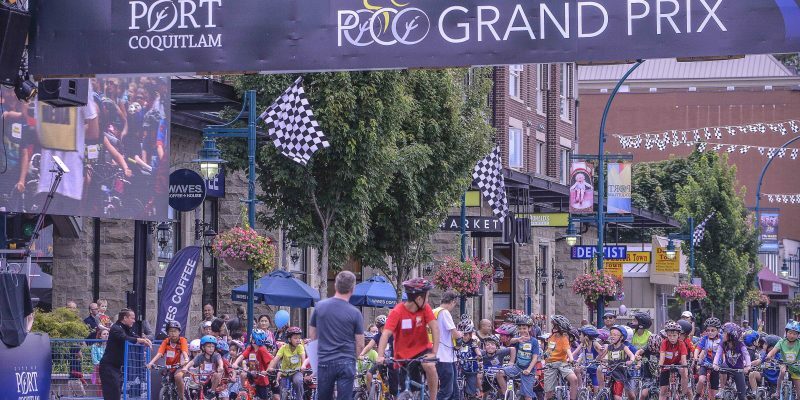 The Kids’ Race will be part of an afternoon of sport, live entertainment, family activities and more on July 14 in downtown Port Coquitlam, where thousands of spectators and riding enthusiasts are expected to gather. Family friendly activities are planned in the free Kids’ Zone from 3:30 to 7:30 p.m. on McAllister Street. The Kids Zone features the Playzone Mini Grand Prix race track, Little Sprockets bike ramps and the art bike. Professional races are scheduled to begin at 1:30 p.m., followed by the Corporate Challenge for business teams at 3:15 p.m., the Kids’ Race at 5:15 p.m. and a Youth Race at 6:00 p.m. 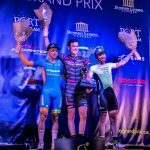 Feature pro races will start at 6:45 p.m., and awards will be handed out on the stage at 9:00 p.m. Event-goers are encouraged to visit www.pocograndprix.ca closer to July 14 for any schedule changes. The fun continues with live entertainment throughout the day sponsored by The Giggle Dam Theatre, a beer garden, a PoCo Grand Prix Expo tradeshow, and a VIP Experience tent for sponsors featuring prime viewing, complimentary food and beverages, viewing screens and more. 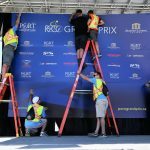 More information about the event and opportunities to be involved can be found at www.pocograndprix.ca.